"10 Years! River Quoile, Northern Ireland"
10 Years! Geocaching's Birthday Picnic at the River Quoile, Northern Ireland! PLEASE ENSURE ALL TRACKABLES ARE RETRIEVED FROM THE EVENT LISTING! 10 years ago the US Government stopped deliberately degrading the GPS signals available to the public on the 1st of May 2000. Overnight the accuracy increased greatly from 100m + to 15m or less. 2 days later the game of geocaching was born because the improved accuracy of the system allowed for a small container to be specifically placed and located. The first documented placement of a GPS-located cache took place on May 3, 2000, by Dave Ulmer of Beavercreek, Oregon. The location was posted on the Usenet newsgroup sci.geo.satellite-nav as N45°17.460 W122°24.800? / 45.291; -122.4133. By May 6, 2000, it had been found twice and logged once (by Mike Teague of Vancouver, Washington). According to Dave Ulmer's message, the original stash was a black plastic bucket buried most of the way in the ground and contained software, videos, books, food, money, and a slingshot. So it’s Geocaching’s Birthday this weekend! What we have planned is to gather at the above co-ordinates in the park beside the River Quoile from 1pm until 2pm approx for a birthday picnic, don’t forget your sandwiches and buns. There you can sign the logbook and introduce yourself and get to know your fellow geocachers and swap stories or discover coins and bugs! Then we’ll get together for the obligatory group photo so remember to bring your party hats. There will be a photographer taking photos of the event for us but you can bring your own cameras too if you like. 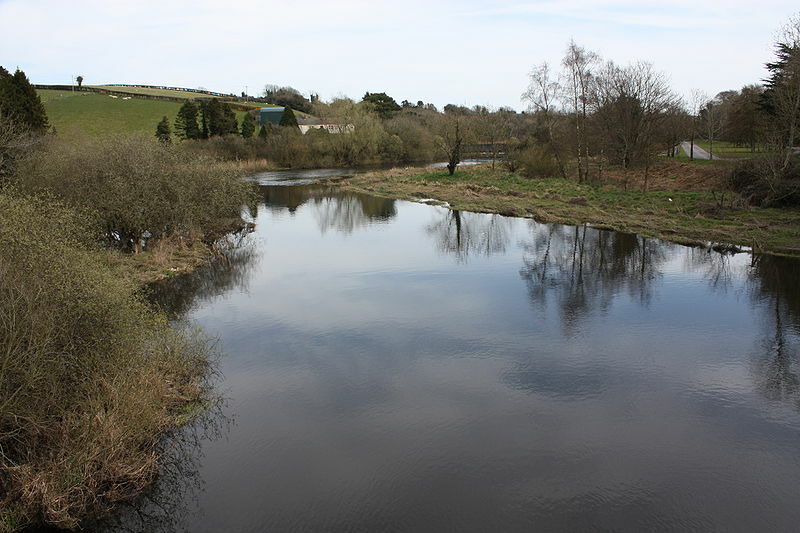 After that you can feel free to explore the 2 mile river walk along the bank of the River Quoile and hunt for a cache or two! There will be some new caches in the area in time for the event for you to find. We’ll finally finish the party around 4pm with a draw for the event FTF and prize! There is plenty of parking nearby and toilet facilities are available close by and also at the Countryside Centre down the road. Come prepared for the weather, rain or shine. We will have some shelter available if the weather turns bad. The riverside walk is reasonably flat along its length and is a gravel surface for most of it. It is suitable for wheelchairs, buggies and prams. Dogs are welcome but must be kept on a lead on the river paths. Further information will be added to this listing shortly so please add it to your watchlist and check for updates regularly! Also like to say a big thank you to Alastair74 and gilliancclarke for all their help so far to organise, assist and make this event possible! A special thanks to Gill for all her hard work on designing the logo for the badges and the banner for the day! Anyone can host a 10 Years! Event April 30 - May 3, 2010. Be sure to check your local event calendar before submitting one, though: it may already be planned. In addition to the standard event cache Guidelines, there are a few additional guidelines that you will need to follow if you wish your event to qualify for a 10 Years! cache type icon. Events must be held April 30 - May 3, 2010. The name of the event needs to be formatted this way: "10 Years! <your location>." For example: 10 Years! Seattle, WA or 10 Jahre! Munich, Germany. At least 10 people must attend the event. A video or picture must be taken at the event. At least 10 attendees must be in the video/photo along with a legible sign showing the event coordinates and location name. The people in the video or photo should be festive. Be inventive! But please keep it family friendly. Vg'f n cnegl fb qba'g sbetrg gb oevat lbhe cnegl ungf! The Party!Thanks again to all those that came along to join in the fun!